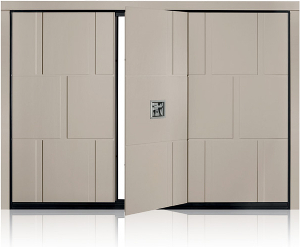 The Gatetec Double has a double curved top rail which gives this automatic gate its unique design. Solid round rails are used for the uprights to give a slender and elegant appearance these are then topped with a fleur de lys which has it’s obvious security advantages. The fleur de lys can be either finished in black or gold. 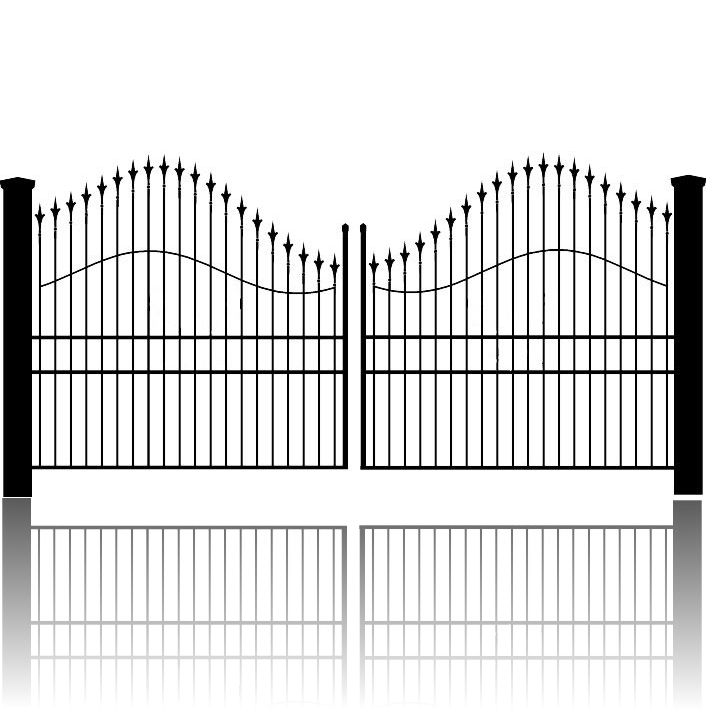 Due to its slender design the Double is best suited to smaller gates. The Double is suitable for all types of automation. If using above ground motors on a swing gate system the 2nd rail can be widened to provide a mounting point for the motor and to help hide the motor it’s self. Shown here with steel posts the Double can also be mounted on pillars. As with all of our made to measure Gatetec gates the Double can be customised as required according to tastes and specifications.